A 50-year-old man has been charged with the attempted murder of an 19-year-old in an alleged terror attack in Surrey. The victim was stabbed last Saturday at a Tesco car park in Stanwell. Detectives from Counter Terrorism Policing South East said they were treating the attack "as a terrorism case". 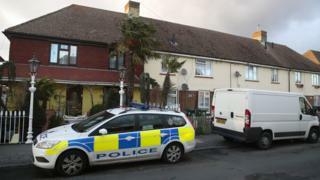 Vincent Fuller, of Viola Avenue, Stanwell, is due to appear before Westminster magistrates on Saturday. He is also charged with possession of a bladed article, racially aggravated threatening behaviour, affray and having an offensive weapon.